Can We Afford a Child (or Children)? While you may be over the moon about the possibility of a baby in the house, don’t lose sight of the most practical of considerations: Children are expensive. Sit down with a calculator and add up the numbers. Kids of any age can be costly, but newborns especially (furniture, clothes, food, etc.) More importantly, you may also need to move to a larger home or apartment, which comes with moving costs and increased payments. Time off or an extended leave from work might reduce your income. If both you and your partner plan on working, factor in nanny or daycare costs. Even if one of you plans to stay home, you’ll still need some babysitters on occasion. Moreover, the cost of raising a child or children only increases over time. There are ongoing expenses for medical care, clothing, toys and vacations, not to mention education. You may want your children to attend a private or religious school, for instance, and you’re likely going to want to start a college savings fund. Understanding the complex financial math of raising a family will help you know if you’re ready. How Will Becoming a Parent Affect my Career? If you plan on staying home or reducing your hours, be realistic about whether your partner’s income will make up the difference. Be honest with yourself, too, about what you want from your career and whether your choices will affect your success in the long term. If you plan on continuing to work, get to know all your company’s policies. Know what’s available in terms of health insurance coverage, paternity/maternity leave and flexible schedules so you can make informed decisions. Talk with other LGBT parents in the workplace to find out how they’re juggling their responsibilities. Once you tell your boss, watch out for red flags. If the boss doesn’t seem supportive, you might want to question whether you’re in the right job. Without the support of both your immediate boss and your employer, you may face challenges in the short and long term. If your boss is the issue, you may decide to look for other positions within the company under a boss who’s more sympathetic. How Will I Make This Work on a Daily Basis? When blogger Susan Wagner was trying to conceive her first child, she had almost every detail of her long-range and financial plan mapped out. She got her investments in order and decided, with her husband, that they wanted two children, a house, and private schooling. What they forgot to think about were the day-to-day details of being new parents. She learned that becoming a mom rearranges your entire life, and suggests asking yourself: What are my needs, and do I have structures in place to meet those needs? For her, it was about sleep. When her first son, now 9, was born premature, Wagner was terrified he’d stop breathing in the middle of the night. At first she slept on the floor in the nursery room to be near him. Later, and for almost a year, she slept in the guest room with the baby. Finally, her husband said “enough is enough,” and the couple set up a sleep schedule that allowed her to get a good night’s rest. They mapped out another sleep schedule before their second son, now 7, was born, which enormously eased their stress. It’s important to consider some of the possibilities that may unfold. If you plan on staying home for some time, ask yourself: Will I feel isolated and am I prepared to spend more time alone, or am I open to making new child-centric friends? If you and your partner will both work, consider how you’d divide domestic tasks like cooking and cleaning, and whether you need to hire domestic help. Also consider the effects of parenthood on your personal time by asking: How much time can I factor in for exercise, my friends or date nights, and who will take care of the baby during those times? How Am I Going to Become a Parent? There are numerous options available, and each should be carefully considered before rushing into any one option. All have risks and all will require some form of financial transaction. But don’t let cost be your sole guide. Your values and risk tolerance should also be large influences in the method of becoming a parent you choose. 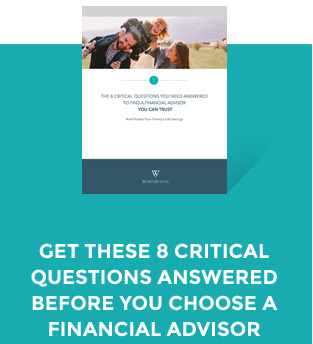 We explore each of these options in depth in Chapter 7 of A Financial Planning Guide for the LGBT Community. Andy Miller is the president and chief officer of Any Baby Can in Austin. Any Baby Can is a non-profit organization that works to strengthen parents and their children through in-house therapies, resource navigation and family support services. Andy and his husband Brian Stephens live in Austin and are parents to Clark.